Global ICT solutions provider Huawei will conduct a six-country roadshow across the Middle East from April to May 2018. Under the theme 'Leading New ICT, The Road to Digital Transformation', the roadshow puts the spotlight on advanced ICT technologies that are driving digital transformation and helping to achieve the development agendas in Saudi Arabia, UAE, Kuwait, Oman, Bahrain and Pakistan. 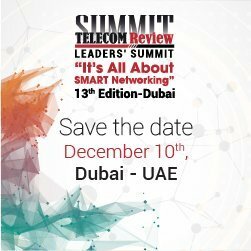 Held for the first time in the Middle East, the 'New ICT Roadshow 2018' will be a collaborative platform that will bring together leading Huawei experts from the region who will share their insights into technical topics and best practices in multiple fields, such as all-cloud network, cloud-managed campus, convergent campus, all-flash storage, and Intelligent Video Surveillance (IVS). Huawei will gather enterprise leaders across a number of key verticals including Safe City/Public Safety, Utilities and Oil & Gas. 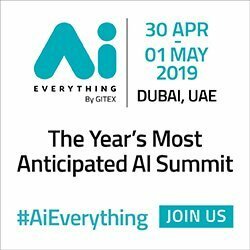 The roadshow will include several keynotes, solution exhibition and technology workshops that cover campus networks, data centers, and video surveillance by Huawei experts. The initiative is designed to support regional governments to achieve their national vision agendas, and enable them to build better connected, intelligent ecosystems. "Digitalization is transforming both business models and personal lifestyles and this change is happening at a lightning speed," said Terry He, President of Enterprise Business, Huawei Middle East. "Developing digital strategies has become a core priority for countries in the region, as governments and enterprises face overwhelming challenges in adapting to this fast changing world. Increasingly, business models are being driven by digital innovation, where 'New ICT' is the key driving force." He added, "Huawei has been operating in the region for more than three decades. Our enterprise business only started in 2011, only to become one of the market leaders in 2018. This is because we have aligned with major governments in the Middle East who have taken an ambitious effort in making digitization a national priority. In addition, our R&D efforts have given Huawei a global and regional leadership position in the digital transformation."